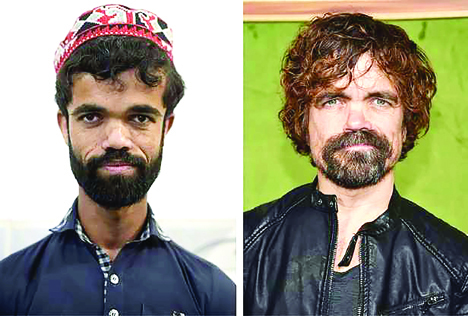 Pakistani waiter Rozi Khan had never heard of the Game of Thrones—or its hugely popular character Tyrion Lannister—until his striking resemblance to the dwarf anti-hero got heads turning at home. ‘‘I don’t mind. A lot of my pictures have been taken, that’s why I have become very famous everywhere,” he said. The television series has won 47 Emmys—more than any other fictional show in history—along with a Golden Globe for Dinklage, 49, for best-supporting actor in 2012.